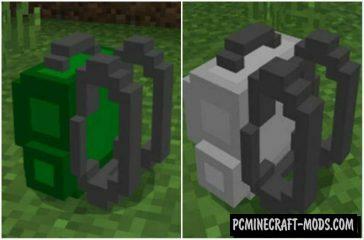 Mod “Modern Decoration” will replace the heads of mobs in Minecraft Bedrock (MCPE) on new decorative blocks. Unfortunately, since the mod only replaces the blocks, no new furniture has any functionality. 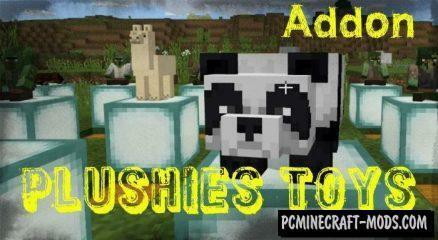 Meet the new decor addon for Minecraft PE 1.8. At your disposal will be more than 100 new plush toys, each of which is unique. More cow is a new type of add-on that is only compatible with Minecraft PE 1.8. It is able to add new mobs and to leave unchanged the standard animals. 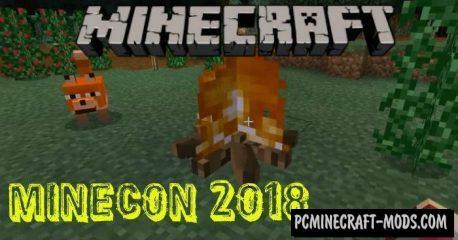 Addon will add more than 10 new cows that will be self-generated and survive. With new weapons you will not be equal. 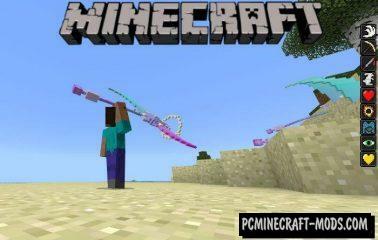 Scythe will give you an incredible power that will help you defeat the Ender Dragon. More than 10 magical effects in one item. 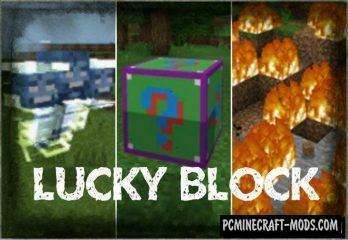 This is the best random mod for Minecraft PE 1.8, because it adds a new block – lucky block. Break it and get jewels or die from creeper. The addition of the “Decoration Pack” will replace some of the most not popular blocks in Minecraft to decorative blocks with which You will be able to make your house modern! 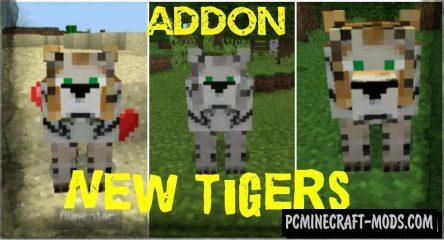 New Tigers Addon 1.8 is a mod that will add a few new tigers to Minecraft Bedrock Edition. We present to your attention an African yellow tiger and a Polar white tiger. 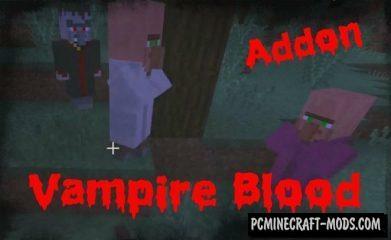 This stunning addon adds a Minecraft PE a few new mobs of vampires and their various forms. They have their own textures, sounds and behavior.